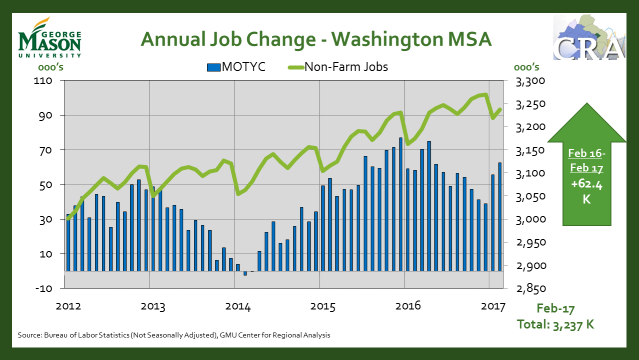 New metropolitan area employment and unemployment numbers released today show continued job growth for the Washington region with 18,300 jobs added in February. This is an increase of 62,400 jobs over February 2016, with the sectors of Professional & Business Services and Leisure & Hospitality leading the pack. 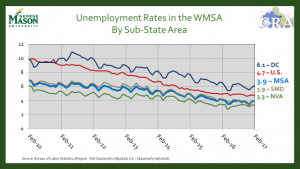 The unemployment rate remains constant at 3.9 percent, below the nation rate of 4.7. 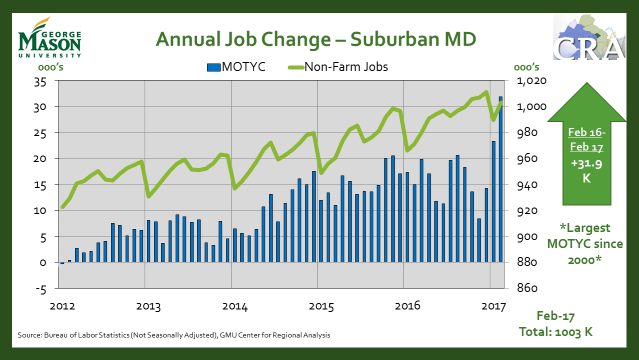 Between February 2016 and February 2017, Suburban Maryland saw its largest job growth since 2000, adding 31,900 jobs. 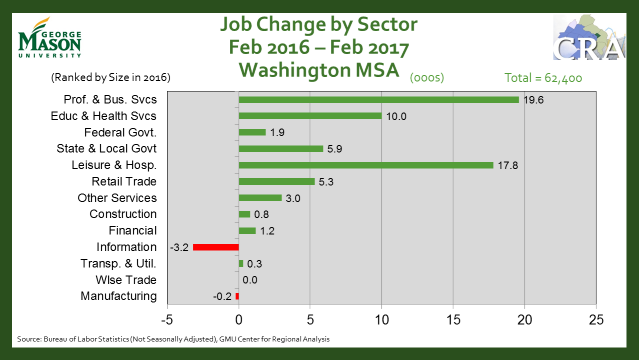 February annualized employment change in the District and Northern Virginia remains similar to recent months. The unemployment rate in DC ticks slightly higher to 6.1 percent and remains the highest in the region. 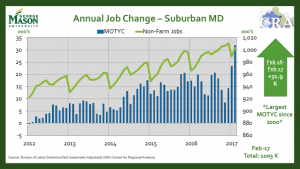 Northern Virginia unemployment moved down to 3.3 percent, while Suburban Maryland and the region as a whole remain steady at 3.9 percent. 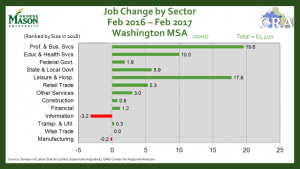 Of notable concern due to the current policy environment, federal government jobs in the region remain steady but are trending downward. We will continue to monitor these numbers closely. March national employment numbers are scheduled to be released this Friday (April 7th) and regional employment numbers for March on May 3rd.